Taipei, July 4 (CNA) Taiwanese boats have the right to enter the waters around the Diaoyutai Islands in the East China Sea, the Ministry of Foreign Affairs said Wednesday, rejecting a protest lodged by Japan over a boat that recently entered the waters off the disputed islands. 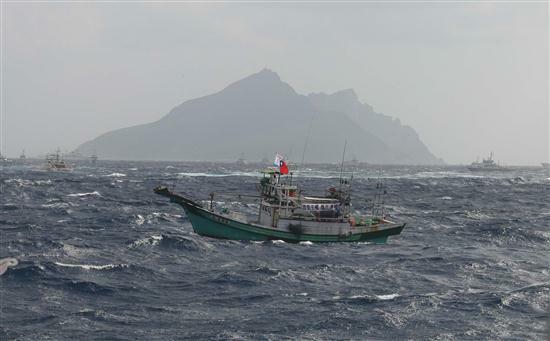 Taiwanese boats can operate around the Diaoyutais because "the island chain is a part of the Republic of China (Taiwan)," according to a ministry press statement, which also called on Japan to deal with the dispute in a "peaceful and rational" manner. A Taiwanese vessel carrying supporters of Taiwanese sovereignty over the Diaoyutais departed for the islands on the evening of July 3 accompanied by five coastal patrol ships. The vessels were spotted around the uninhabited archipelago by Japanese authorities the next morning. The flotilla left the area before noon, according to an earlier interview with Steve Hsia, director general of the ministry's Department of Information and Cultural Affairs. In the wake of the situation, the Japan Interchange Association in Taipei, a quasi-official organization established to handle bilateral affairs in the absence of formal diplomatic ties, filed the protest with Taiwan that was rejected by the ministry. The Diaoyutai Islands are known as the Diaoyutai Islands in China and the Senkaku Islands in Japan. Both countries also lay claim to the island group.